President Trump signs appropriations bill, keeping the federal government running until Dec. 21. WASHINGTON — President Trump on Friday has signed the appropriations bill, keeping the federal government running until Dec. 21. 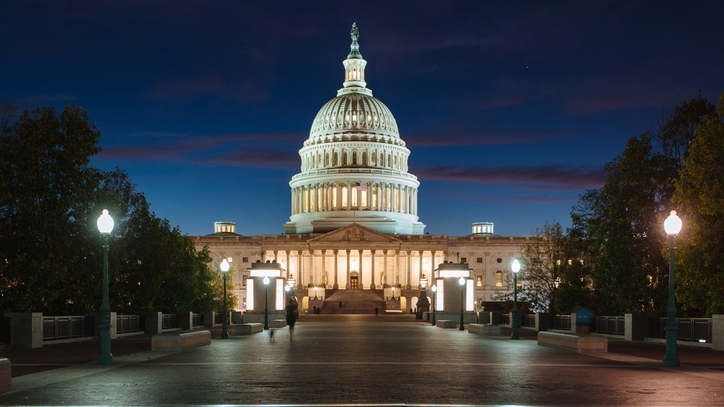 The House and Senate approved the stopgap spending bill on voice votes on Thursday. Lawmakers had faced a midnight deadline on Friday, when a spending plan was to run out, going into the weekend. The latest action buys lawmakers more time to hammer out an agreement on President Trump’s border wall. But it’s clear members of both parties are still far apart on the issue. Senate Minority Leader Chuck Schumer and House Minority Leader Nancy Pelosi said on Thursday that they would eventually like a one-year continuing resolution on the Department of Homeland Security. Since border security comes under DHS, that would allow for a longer time period to reach an agreement on the wall. Democrats noted six separate appropriations bills could then also be approved under a shorter stopgap spending plan. But Republicans have indicated they will continue to press hard for the funding the president is seeking and appear cool to the idea of a delayed funding measure for DHS. “We know what we need to do. We just need to come together and get it done,” said Sen. John Cornyn, R-TX. Schumer and Pelosi are scheduled to meet with the president next Tuesday. Their meeting, originally scheduled for this week, was delayed due to the death of former President H.W. Bush, who was laid to rest in Texas Thursday, after a state funeral in Washington on Wednesday. Pelosi said Thursday she would not go along with funding for the border wall in exchange for helping young immigrants — so-called “Dreamers” — avoid deportation. Pelosi said the idea of the wall is “immoral” and that it would be ineffective. The president has said the wall is needed to stop migrants from Central American from crossing into the country illegally. While he has cited dangers from a caravan near the U.S.-Mexican border near Tijuana, border agents this week said nearly 700 people a day are being arrested near the border in South Texas. Schumer said most of the $1.3 billion that’s already been approved for border security has not been spent. “The idea that they haven’t spent last year’s money and they’re demanding such a huge amount this year, makes no sense at all,” Schumer said on the Senate floor. The president has at times appeared to soften his position on how to fund the wall. But he’s also remained steadfast that it’s a top priority for the White House.